I hugged this book to my chest many times while reading it; that’s how much I love it. Rabbit Cake is a sweet (and occasionally melancholic) tale of intrigue, full of heart, and with a lovable cast of characters. Elvis Babbitt is learning about grief after her mother’s accidental death, which she still isn’t convinced was a mishap. Her sister, Lizzie, has been causing trouble during her sleepwalking episodes, and her dad has replaced his deceased wife with a parrot that can perfectly mimic her voice. 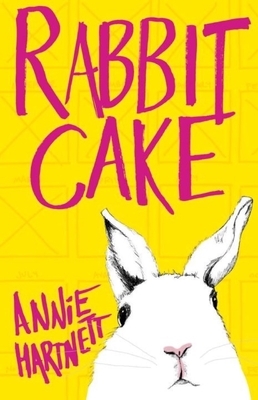 An inimitable novel about grief, family, and the uncertainty that follows death, Rabbit Cake is a stunning debut of what will surely be a long and lustrous career for author Annie Hartnett. You will care about these characters and their troubles; they will make you laugh and sigh with pity, sometimes both at once. This is one of those books that I couldn’t put down, that I want to carry with me everywhere I go, that I wish I could delete my memory of so I could experience it anew again and again. Elvis Babbitt has a lot on her plate: a dead mother, a sleepwalking sister, a father whose best friend is a bird. Luckily she has science on her side and her job at the zoo helps ground her in ways that phone calls to her mom's old psychic doesn't. Annie Hartnett's debut is beautiful and quirky, just like the Babbitt family. I dare you to not love this book.